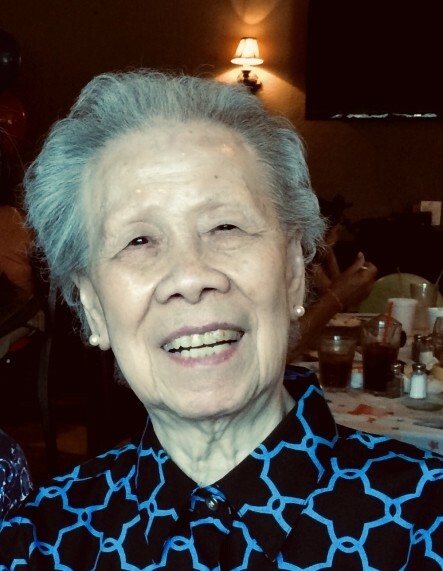 Lincoln – May N. Chan, 96, of Garwaine Drive, died Saturday, March 23, 2019 at Golden Crest Nursing Centre, North Providence. She was the beloved wife of the late Wing-Cheung “Bill Woo” Chan. Born in Burma, Mrs. Chan lived in Hong Kong, immigrating to the United States in 1969, settling in Bristol, before moving to Lincoln over twenty-five years ago. She was a member of the Chinese Christian Church of Rhode Island. She is survived by two daughters, Christina Wong of Cranston, and Jennifer Fernandes of Lincoln; one son, Simon Chan of North Providence; seven grandchildren; and five great grandchildren. Her funeral service will be celebrated Wednesday, March 27, 2019 at 11:00 a.m. in the Chinese Christian Church of Rhode Island, 333 Roosevelt Avenue, Pawtucket. Burial will follow in Swan Point Cemetery, Providence. Relatives and friends are invited, and may call Tuesday, from 5:00 -8:00 p.m. at Bellows Funeral Chapel, 160 River Road, Lincoln. In lieu of flowers, contributions in her memory to the Chinese Christian Church of R.I., 333 Roosevelt Avenue, Pawtucket, R.I. 02860, or the Park Avenue Senior Care, 1049 Park Avenue, Cranston, R.I. 02910 would be appreciated.